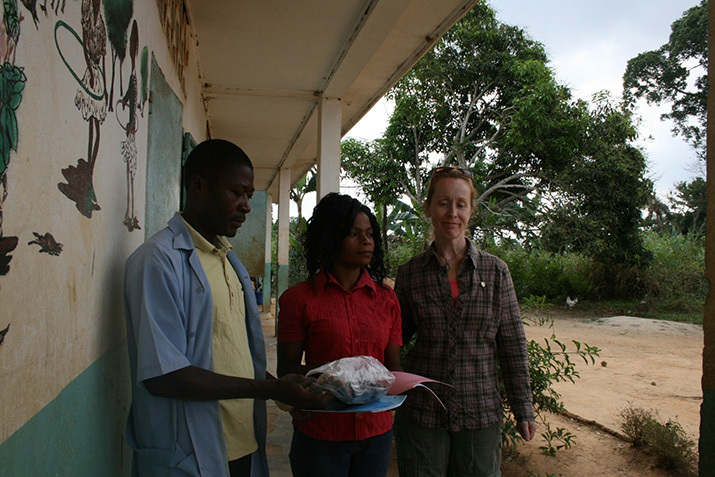 Recently our Community Services Director Susan Eberth travelled to Cameroon to volunteer with the Ape Action Africa “AAA” project, something she has been doing since 2005. Our Rotary Club sponsors the AAA education program since we believe in the power of education. Investing in the youth of today secures a better world for tomorrow. During her visit she was able to spend some time with the educational staff and meet some of the students. 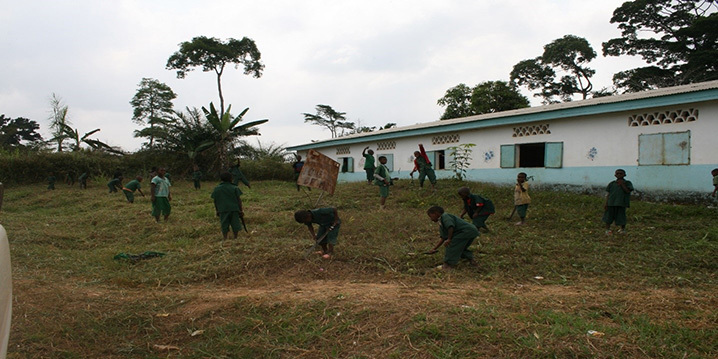 The Education Program managed out of the Ape Action Africa project encompasses 8 surrounding schools, Yaounde city centre schools and village outreach programs. 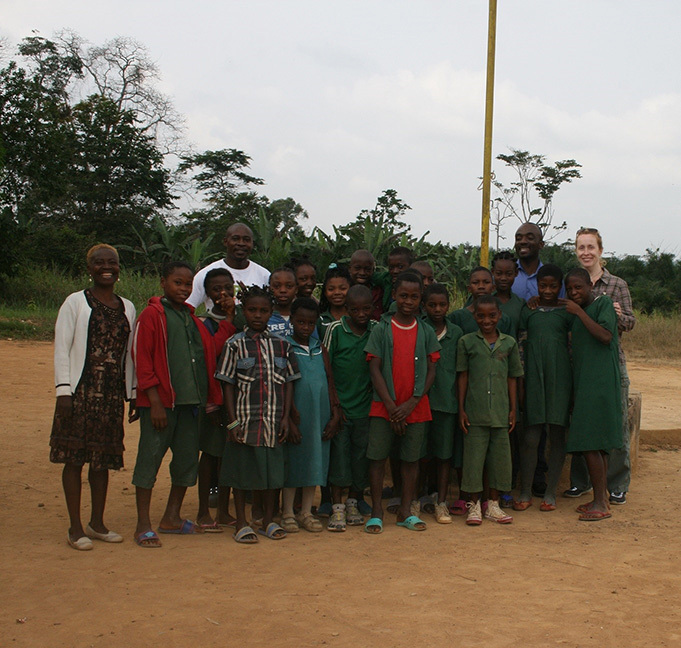 James Jetta is Head of Education Programs for both Yaounde and Mefou locations. 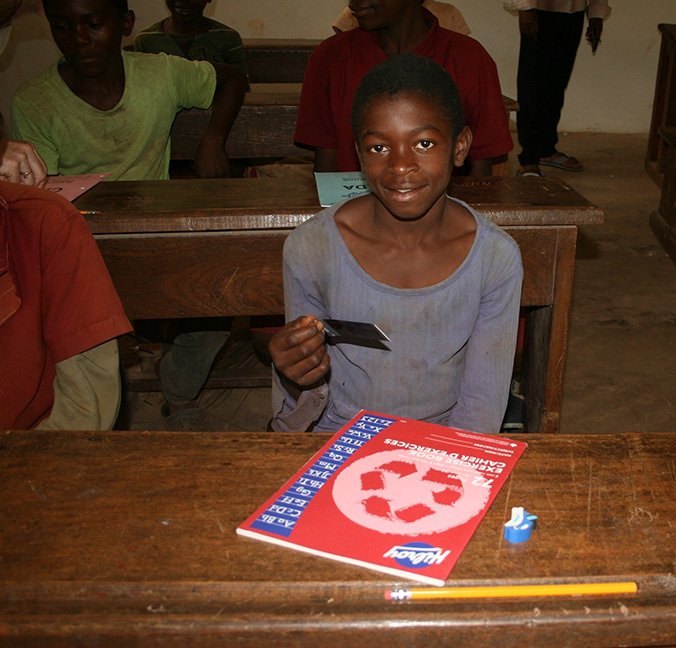 Terrance Wirba is Head of Education for Mefou. 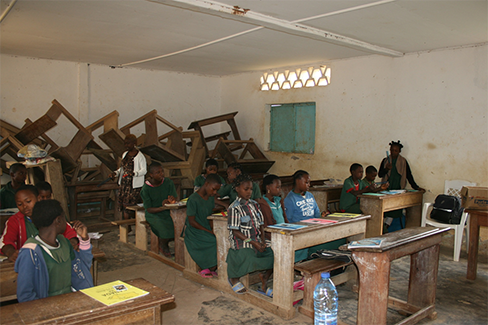 The education officers teach the children conservation education as well as English. At the end of every school year an ‘End of Year Celebration’ occurs. This celebration includes a total of 18 schools where each class selects their top 3 students. This results in approximately 180 prizes to be awarded. The event encourages students to do well and is something they look forward to participating in. School bell at Mitet School, rung to announce recess and end of school day. Students are selected by good behavior and teamwork to ring the bell. 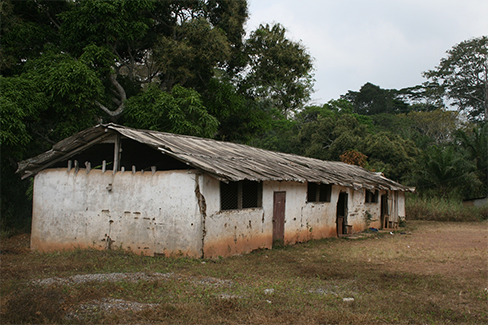 Mitet School is located just outside the Ape Action Africa “AAA” project. This school has 3 classrooms designated for preschool through juniors and has 3 teachers. The Director is Eyenga Germaine. She teaches the junior class. The school was built in 2007 by the AAA project. 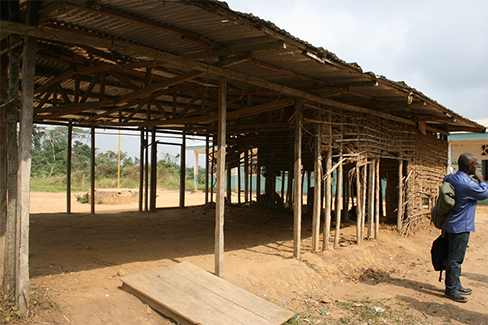 Oveng School is located approximately 30 minutes from the AAA project. 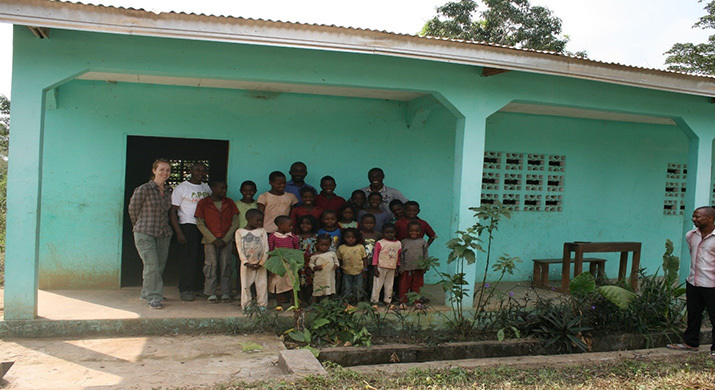 This school has 1 teacher and 1 classroom with 19 children attending. 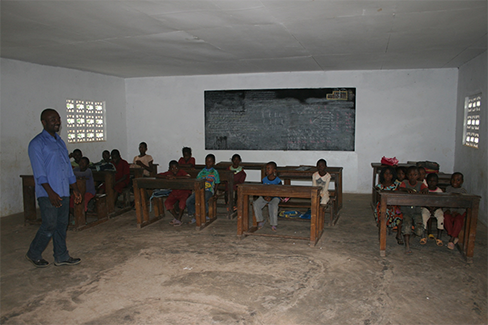 Bitounou Jean is the Head Teacher and instructs the children through a 1 room school house setting. 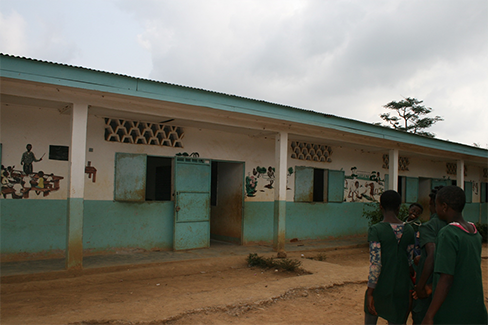 The school was built in 2015 through a Rotary collaboration which included latrines and a well. first time this young lady saw herself in a photo!